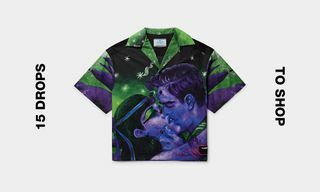 It might have its haters, but Prada’s half-and-half flame and pattern print bowling shirt is officially the piece of the summer, with everyone from 032c fashion director Marc Goehring, G.O.O.D. 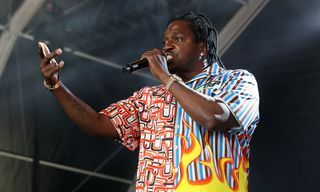 Music president Pusha-T, and Jurassic Park’s very own Jeff Goldblum flexing it. 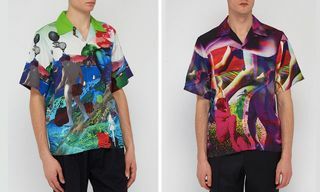 And while $1,200 is steep for an item that splits opinion right down the middle (not unlike its design), Prada is also charging $1,790 for an equally divisive padded flame and banana print bowling shirt. 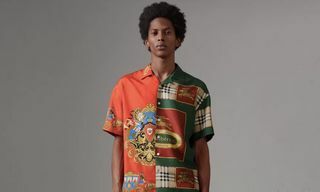 But this isn’t a matter of Prada trying to cash in by creating fashion meme-bait — the brand has been in the “ugly-chic” game for years, and even the bananas have a history. 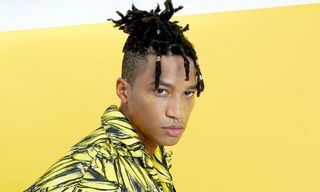 The story of the banana print goes back to September 2010, when Prada design chief Miuccia Prada presented her SS11 collection in Milan. The collection was ladled with bright tropical prints on shirts, skirts, and dresses. 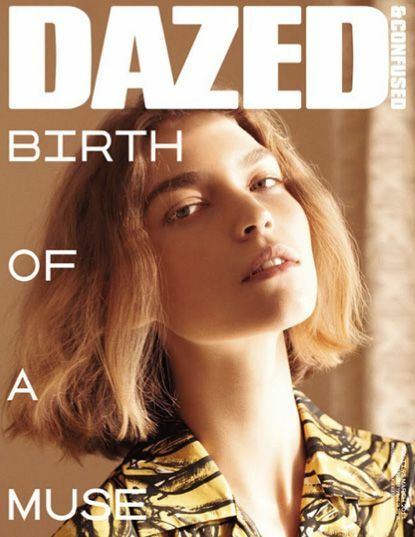 There were stripes, monkey prints, and — yes — bananas. At the end of the show, Miuccia Prada appeared on the runway to take a bow wearing a pair of banana earrings. 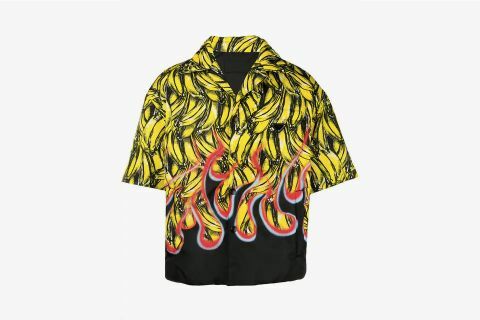 So while you might not dig the half-and-half, or you find the banana print shirt’s $1,790 price tag outrageous, we’re still talking about them online. The bananas are a symbol of a brand trawling its past and propelling itself forward on the waves of online hype. 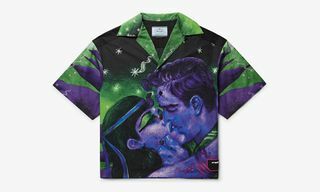 What are your thoughts on Prada’s “ugly-chic” bowling shirts? Fire or just bananas? Let us know in the comments. Next, check out this Instagram account unearthing some of Amazon’s best-kept secrets.